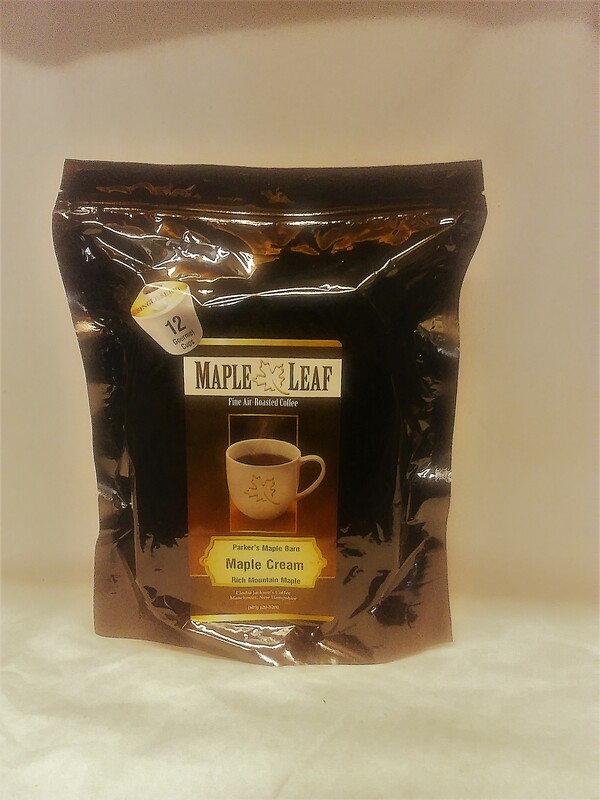 If you love Maple Syrup, Maple Scented Candles, Maple Products Gift Baskets, Maple Sugar, Gourmet Maple Coffee, Maple Candy or elegant Rustic Cedar Furniture, please either visit our store or simply order in on-line. Our Native American arts, crafts, clothing and jewelry, is currently only available by visiting our Corn Crib Gift Shop! We have many treasures from the Southwest and beyond. Local country crafts are our specialty too! Dozens of flavors of jams, jellies, and marmalades line the shelves as well as hundreds of scented candles, herbal teas, greeting cards and a grand toy and candy selection for the kids! Salmon Falls Pottery is a favorite and we have a full line of super spicy Southwestern sauces and salsas. Gift Baskets are available year-round, just imagine what you can put into one! Anything your heart desires! Come on down and put one together or order one on-line and we will ship it anywhere! A Gift Basket loaded with maple goodies is a real New England treat! We have a range of baskets from $25 to $75 containing a complete range of maple products, jams, jellies, candy, syrups, coffee, teas, and all are beautifully decorated in a unique New England style. Why don`t you have a closer look at the contents of each of our baskets and boxes before placing your order. 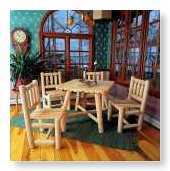 Rustic Natural Cedar Furniture offers furniture for every setting. Sometimes called log style, or western ranch furniture, this is a perennial favorite because of its comfort, practicality and versatility. Our cedar furniture is at home in a mountain cabin, lake front retreat or on the ranch. Whether it`s in a suburban backyard or in the dining room, this solid furniture is a welcome addition. Cedar is naturally resistant to decay and insect damage. Because of this superior resistance, cedar is the wood of choice for fence construction and siding on homes. The Northern White Cedar (Thuja occidentalis) used in our range of furniture is a creamy white color that weathers gracefully to a silvery gray when left out in the sun. This same cedar covers many homes on Cape Cod, and its` color is referred to as Cape Cod Gray. We use Western Red Cedar (Thuja plicata) in our Arbors and Garden items. It is a dark rusty red that, like the Northern Cedar, ages to silver gray when untreated. 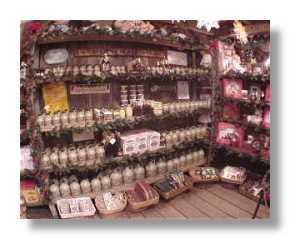 You have several ways to buy products from Parker`s Maple Barn. To see the complete range of our products, visit us in Mason, New Hampshire. In fact why don`t you make an outing of it, do your shopping and enjoy a leisurely meal in the restaurant. For directions click here! If you know what you want from a previous experience, call us at 1-800-832-2308 and place your order. The orders can also be faxed and mailed in. See our contact information page. Finally you can browse our virtual store and order via our secure on-line store.